By combining high quality tailored support in the use and maintenance of advanced environmental technology, ECOTECH ensures that its distributors and global customers continue to be provided with accurate and reliable data, long after procuring their first ECOTECH instrument. ECOTECH Technical Support Services (TSS) trainer, Morgan Thomas showing technicians from South Africa best practice when it comes to operating and maintaining ECOTECH Serinus gas analysers. ECOTECH Technical Support Services (TSS) trainer, Morgan Thomas provided onsite training to ECOTECH’s South African distributor SI Analytics and their local customers in February. improved financial and non-financial returns for all parties. 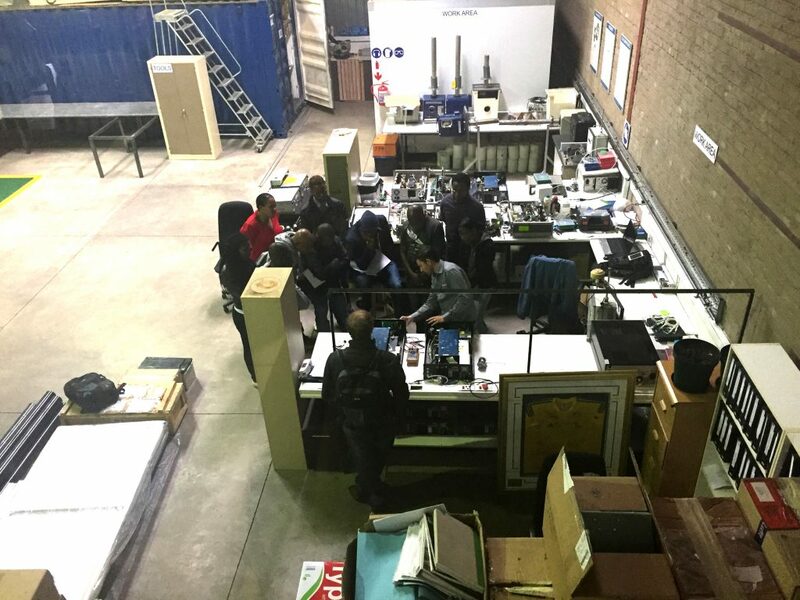 The training and support provided in South Africa was focussed on maintenance and use of the ECOTECH Serinus gas analyser. Serinus gas analysers provide accurate, in-the-field data, with a range of models to monitor different types of gases. ECOTECH have been working with SI Analytics to distribute gas analysers in South Africa for over five years. Together, SI Analytics and ECOTECH have built relationships with clients in industry, government, and research. As part of the week long training event in February, SI Analytics and key customers in meteorology and the synthetic fuel industry required training on a suite of ECOTECH Serinus gas analyser products. Morgan recognises training is an essential on-going part of ECOTECH’s relationship with clients. Why? Because training helps ensure customers have the opportunity to continuously upgrade their skills and optimise the benefit of every ECOTECH product they purchase. A tailored approach to training provision is the foundation of ECOTECH’s Technical Support Services. For example, since 2012 Morgan has been delivering training in Johannesburg for SI Analytics on behalf of the ECOTECH TSS team. Morgan’s approach to training is hands-on. He works with the instruments that are used by the customer and collaborates with the customer to troubleshoot problem areas, provide training in required use, and explain best-practice maintenance procedures. Doing this helps customers respond to the requirements of each machine, while also helping customers become more self-sufficient when it comes to basic diagnostic, essential maintenance and operational needs. “ECOTECH trains a wide range of technicians with different levels of knowledge and skill sets every year around the world. Because of this we have to ensure that every training session we deliver is directed at the particular needs of each customer and focuses on the specific equipment they’re using.” explained Rhys Evans, ECOTECH International Senior Technical Specialist. “Whether we’re providing training support for government agencies, mines, refineries or research teams, our goal is to equip our customers with the knowledge they need to properly operate and maintain the ECOTECH instruments they purchase from us themselves,” continued Rhys. Ongoing training ensures ECOTECH distributors and ECOTECH customers alike who own and operate ECOTECH instruments can increase efficiency, decrease overheads, and remain at the technological forefront of environmental monitoring equipment. “Only when instruments are properly maintained, utilised efficiently and operated with expertise will they produce valid and reliable data to a consistent standard. ECOTECH Training Support Services helps our customers achieve this standard,” Rhys concluded. Contact Rhys Evans to learn more about ECOTECH’s Technical Training Programs at rhys.evans@ecotech.com or 1300 990 292 (Australia only); +61 3 9730 7800 (International).